It's the first week of December so it's time to look back at how I did in November. Usually, I would post a net worth report but for the last few months, it's been so discouraging to post how much my net worth decreased due to factors mostly beyond my control (stock market). My new main goal now is to save as much cash as possible. My goal is to be my own small (very small) bank. Whenever I need something, I don't want to have to depend on a loan from a bank or use a credit card to get the funds. I would like to be able borrow from myself for whatever I need; with the exception of a mortgage of course. This month will be the start of the all-new SingleGuyMoney Savings Challenge. Most people are busy spending money on holiday gifts but I am focused on saving. I will still buy a few small gifts for my immediate family out of the money I'd already saved throughout the year for holiday gifts. Right now, my savings account stands at $20,250. My goal is to save at least $50k. I'm currently at 40% of my goal. I have a long way to go but I am confident that can have this goal met within 24 months. By December 2010, my savings account balance should be sitting at a minimum of $50,000. If you want to join the Savings Challenge with me, consider opening an ING Orange Savings account to get started. They are currently paying 2.75% and there are no fees or minimum balance. ING Direct is FDIC insured and you don't have to change banks. Will you join the challenge? What is your savings goal? It doesn't have to be $50,000; it could be $500, $5000 or even $50. 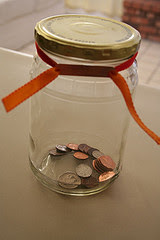 The main point of this challenge is to get you in the habit of saving. Of all the habits out there, picking up the savings habit is one of the best things you can do for your personal finances. Subscribe to SingleGuyMoney here to follow my Savings Challenge progess. Wowie. Good luck w/ this. That is one helluva challenge you are encoutnering. I hope you make it and I will be tuned in for the next 104 weeks! That's pretty ambitious - I'm impressed that you already have so much cash stashed. Okay, I'm on...I'll set up a (small) automatic transfer to my ING account. And I'll do it now. I'll even post back to let you know that I did! Good luck, that sounds like a pretty ambitious goal! I've been planning on trying to get some money in savings next year anyways. I don't have a set dollar amount in mind yet, but I'm just trying to get a buffer between me and broke! I had a little bit put away, but ended up raiding it to pay off a credit card that was a thorn in my side. Probably should have left the savings alone, but it felt too good to get rid of that credit card bill to really regret it! Impressive to set a 2 year goal, right now I am having a hard time to figure out what number I should try to set for that sort of timeline. Do you really think that you need 20-50,000 saved in a regular savings account? That seems like a huge EF/savings fund that is not getting invested anywhere else. I know that the market is pretty crazy right now and it would have been bad to lose all that, but what about bonds or something that might be equivelant? i might do this.. see if I can save $25,000 by December of 2010. I am looking to increase my savings + play money(stocks) by 20,000 next year. Best of luck with your goal! In our case, we recently needed to deplete our emergency fund for car repairs. For the short-term, we need to reestablish our fund to $5000. After that, we need to decide between saving more and getting rid of my one personal student loan. Sounds like a mighty big project, but kudos for your gusto! I had a challenge for myself last month. I sold off a bunch of items and negotiated a lower price for internet. In the end, I raised just over $200. This month, I need to put a few things on Ebay that I never got around to posting. I already sold one item for $40. And we are stashing all our change in our bank. Hmm, I like your challenge. But I would put the money towards investments and in a savings account. Eventually I want $50k in a savings account, but I won't be there in two years! This comes a little late but what is the reason for being so cash heavy? What about putting extras towards investments example real estate? my goal is to save up, so to speak, about 10k in 09. half will go into my emergency fund and the other half will be used to make huge payments on a student loan, effectively cutting it in half. i have no idea if it'll work, b/c my side job isn't always steady, but i've cut back on expenses and living below my means to try to make it happen. we'll see! Hey! Thanks for your nice comments on GRS. This is not a great goal -- it's an great attainable goal, so keep it up! It feels great to get support, so back at you.